In small bowl, combine cheese food and taco seasoning mix; mix well. Spread mixture in celery stalks. Top with onions. Cut into 2-inch pieces. 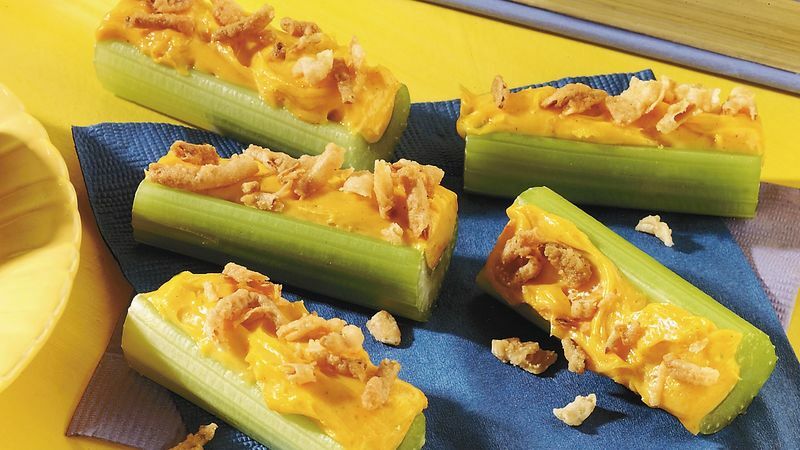 These tasty snacks are perfect to make ahead and have on hand for hungry snackers. Just store the cut pieces in a tightly covered container in the refrigerator.